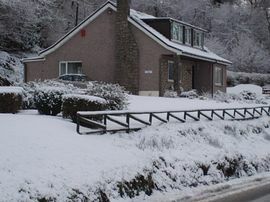 Minaig is a small Bed and Breakfast with two spotlessly clean double-bedded en-suite rooms with TV Freeview, tea/coffee and homemade shortbread. You can be assured of a warm welcome, we have been in the hospitality trade for over 40 years owning a small hotel until three years ago. We therefore have had a lot of experience in guests requirements from our facility and are happy to assist with any unusual requests. We serve a Full Breakfast from 7.45am to 9.00 am with the option of an earlier Continental Breakfast for the early birds. We have ample private parking. 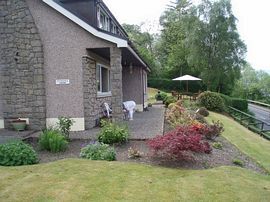 Minaig is situated approximately one mile from Fort William town centre. 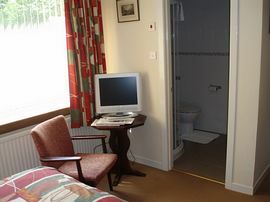 We have superb views over Loch Linnhe and the mountains. 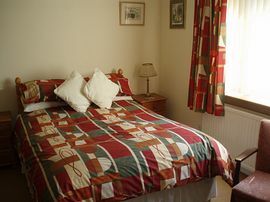 It is a pleasant stroll alongside Loch Linnhe into Fort William which has a choice of eating places to suit all budgets. 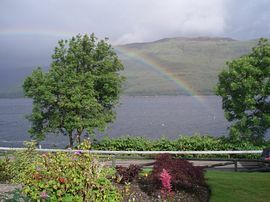 Fort William is a good base for climbing Ben Nevis or to take the gondola up Anoch Mor. The popular steam train to Mallaig is a big attraction in the summer months, remember Harry Potter. We are situated one mile south of Forth William on the A82.